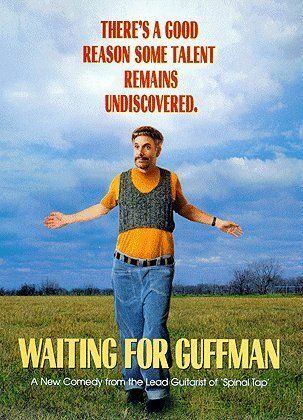 I always look forward to seeing the next mockumentary Christopher Guest puts out. 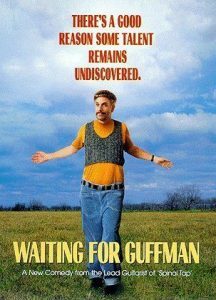 He started out with This is Spinal Tap, and brought us other gems as Waiting For Guffman, Best In Show, A Mighty Wind, and For Your Consideration. While some people didn’t care much for the last film, he still has made some of the funniest films out there with some great music as well. I for one liked “For Your Consideration”. Now after hearing this news that his next group of crazies he plans to mock is the group that collects old comic books, vintage records, old barbies and toys, and more. Already I am laughing out loud at the premise. Hopefully somebody like Comic-Book Guy from the Simpsons will be in the movie. Guest will be joined by Harry Shearer and Michael McKean, two actors who have been with him since his Spinal Tap days (which they also co-wrote alongside him). No mention of Eugene Levy, however—though I imagine that he will remain as integral a part of the production as he’s ever been. In addition to starring in Guest’s films, Levy has also helped him write all of their screenplays. It would be regrettable if that wasn’t the case on this film as well. Other Guest regulars include Jane Lynch, Parker Posey and John Michael Higgins, all of whom are being sought for the film. Lynch’s Glee schedule could pose a problem, but otherwise it’s likely that most of the gang will be returning. We need Fred Willard, Eugene Levy, and Catherine O’ Hara to sign on as well. I am sure they will. Christopher Guest Brings ‘Mascots’ To Netflix in 2016!!! Here’s the Top 10 Music Films! This entry was posted on Friday, September 24th, 2010 at 2:56 pm	and is filed under Film. You can follow any responses to this entry through the RSS 2.0 feed. You can leave a response, or trackback from your own site. [to asleep parents] There's a dinosaur in our backyard.